Hi Friends! Last night was my annual holiday Stamp-A-Stack class. Though I haven't yet photographed the cards to share with you, I thought I'd share these little gifts that I gave to my class attendees. Inside each one is a container of Dazzling Details which they can use to decorate their holiday cards. 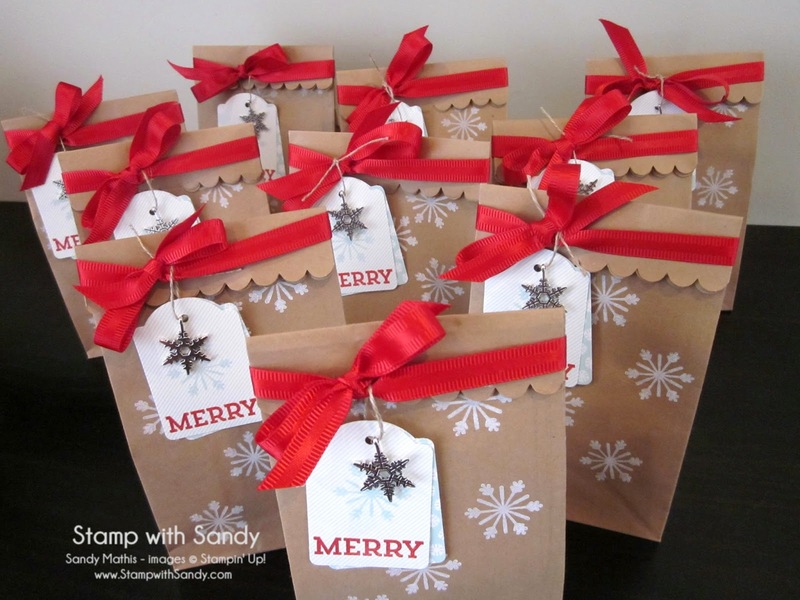 I CASE'd these from this months Stampin' Success demonstrator magazine. 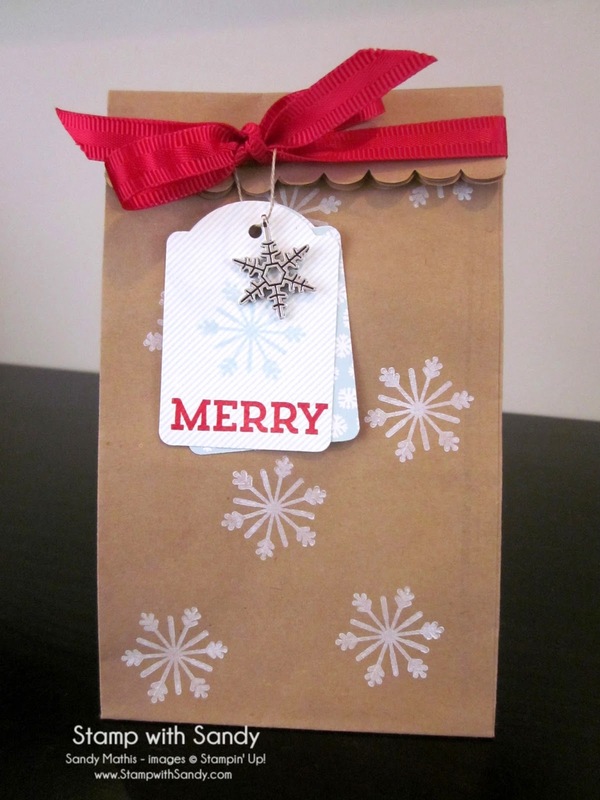 The new Petite Cafe Gift Bags would have been perfect for this project, but the thought occurred to me too late and I didn't have time to order them. Instead, I used some long retired Mini Lunch Sacks that I had in my stash. 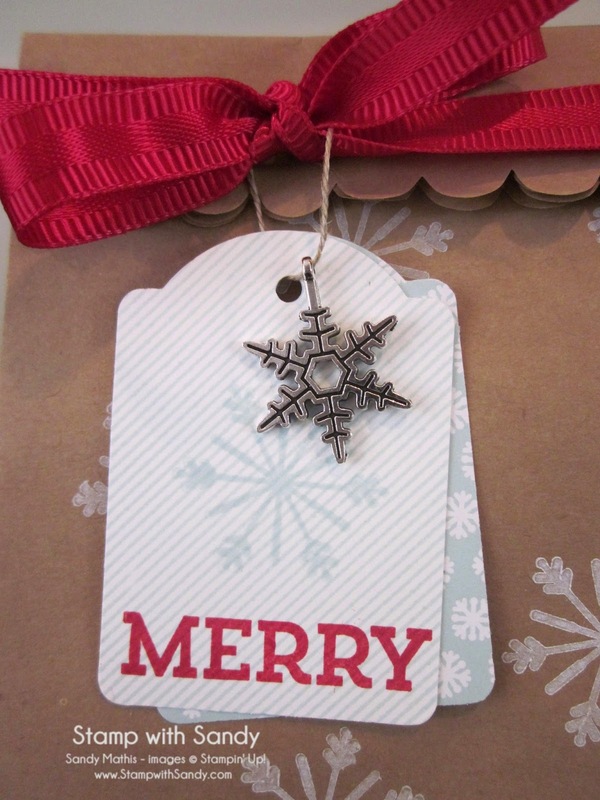 The snowflakes, tag background and sentiment were all stamped with the Cheerful Tags Stamp Set. I love this set, especially since it is photopolymer and you can easily see where to place the images and sentiment. I also love that it has a matching tag punch. You are such a generous demo! These are adorable! I bet they loved these! You have been a busy bee! 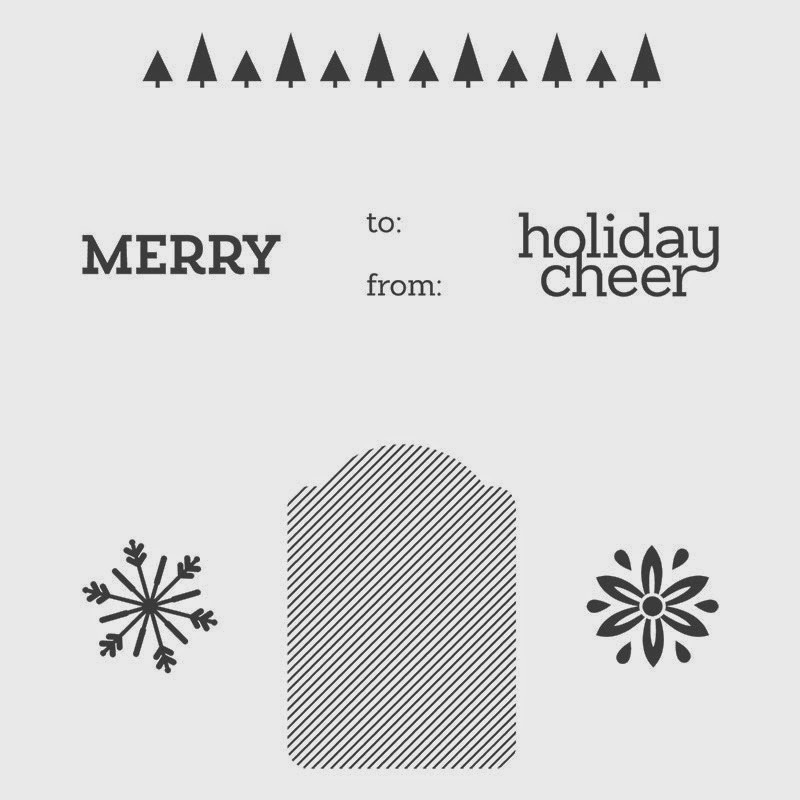 This set looks like a fun one, I like the font on the sentiments.I bet you will get lots of use out of this one.